Once upon a time little Harry Nilsson wrote a song for Midnight Cowboy called 'I Guess The Lord Must Be In New York City'. The film's director however had been using Harry's cover of Fred Neil's song 'Everybody's Talkin' as an example of the sort of song he wanted for the soundtrack and grew to like Harry's version so much that he never replaced it. 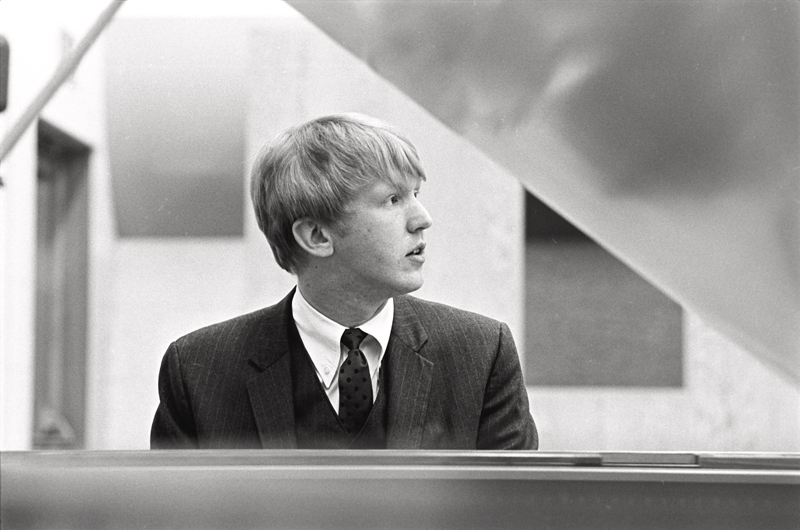 Harry went on to win a Grammy for Everybody's Talkin' but had John Schlesinger used the song that Harry wrote, Nilsson would have also been eligible for an Oscar. I Guess The Lord Must Be In New York City was used in the Sophia Lauren film La Mortadella however and it eventually made its way on to Nilsson's 1969 album 'Harry'. Strangely, it was also released as single on RCA but under the name of Buck Earl. Perhaps in an attempt to crack the country charts. Whatever the case, it's another great Nilsson song. In 1969 Harry Nilsson made a guest appearance on the TV sitcom The Ghost and Mrs. Muir in an episode enitled 'The Music Maker'. During the episode Harry performed a version of 'Without Her' as well as a song he composed specifically for the show entitled "If Only". Unfortunately, both songs are interrupted either by dialogue, laugh tracks or both but working with a Sound Engineer I've done my best to create some relatively 'clean' versions. Given the quality of the source material perfect versions just weren't possible but what we ended up with is still an enjoyable listen. Harry also performed an alternate version of 'If Only' offered below but for this, there was virtually nothing we could about the laugh track. In 1970 Harry released Nilsson Sings Newman and on it a fine version of 'Living Without You' is featured. As good as that version is, it's this demo version that kills me every time.